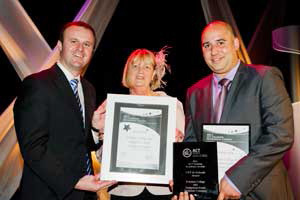 In September 2011 Erindale College was awarded the VET in Schools Excellence Award for the program implemented by the college and the Indigenous Social Inclusion Company. This program provides an opportunity for our Indigenous students to take up an ASbA in Community Recreation and achieve a Certificate II working with Primary School children during school hours. The photo shows the Education Minister Andrew Barr presenting the award to Clinton Scott-Knight from the Indigenous Social Inclusion Company and Jennifer Blackall as Acting Principal. 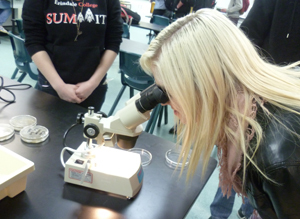 On August 28th 2012 students from High Schools in the Tuggeranong Valley and Woden were invited to participate in a day of enriching Science and Mathematics activities. They competed in individual and group challenges which included a parachute competition, Maths races and Science Trivia. They also did Biology, Chemistry, Earth Science and Physics experiments presented by Erindale College Year 11 and 12 Science students. 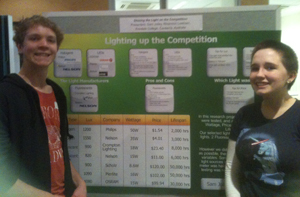 Three Erindale students represented the college at the International Science Fair in 2012. Megan Hamilton (Year 12), Sam Jolley (Year 11) and Rhiannon Leetham (Year 10) went to Adelaide in June where they presented their research to other students from all over the world and viewed the presentations of other participating students. Megan, Sam and Rhiannon also participated in a number of other science activities including forums and workshops. 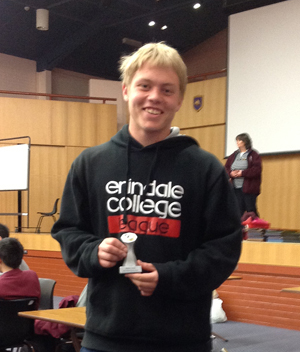 Erindale College participated in the ACT Secondary Chess competition for the first time in 2012. The students did particularly well considering it was the first time we had entered. 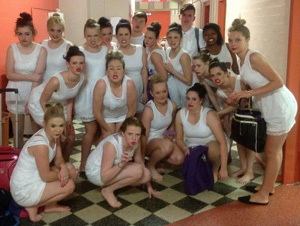 At the Southside competition, they surprised themselves and qualified for the finals. Congratulations to Jake McCook who achieved a perfect score on Board One during the Southside competition. This means that he won every game he played against the best player from each team. Congratulations to Simon Weir and Prudence Gwese on completing the Questacon School's Training Program. These two students each completed 40 hours of training during the course of the year to graduate as Volunteer Explainers at Questacon. On your next visit to Questacon, be sure to look out for Simon and Prudence who will be happy to talk to you about the science behind the exhibits. In 2012, Aaron Smith, an Erindale College Mathematics student achieved an excellent result in the Australian Mathematics Competition. Aaron was in the top 1% of students in Year 12, achieving a High Distinction Certificate. When you take into account that only the best Mathematics students in the country participate in this competition, this is an outstanding achievement. Congratulations Aaron! 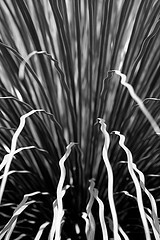 A great result for Creative Arts Academy photography students in the Botanic Gardens Student Photo Comp for 2012. 2nd prize College Digital Effects: Elena Sanchez ($100) - this complements her 3rd prize in College Colour from 2011. 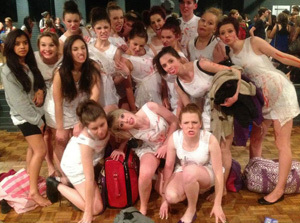 This year, as every year, the Ausdance ACT Youth Dance Festival was held at the Canberra Theatre over three big nights at the end of September. This year's theme was 'Heroes,' and Erindale College's performance entitled 'The Villain Unfolds' took an interesting spin on the word. Everyone know's that heroes cannot exist without villains, so Erindale' piece decided to explore the complex and damaged personality of a stereotypical 'bad guy.' Are villains simply born evil, or are they 'made' when something terrible happens to them over the course of their lifetime that changes them into horrific monsters? Erindale decided to focus on the latter; their piece explored the relationship between childhood friends, whose alliance and connection changes dramatically when damaging events befall some of the performers, causing them to develop villainous tendencies. Dancers worked for many hours, both in class and out, to rehearse and perfect the complicated performance. All are to be commended on their tireless efforts to make the piece the absolute best it could be. The dancers should be proud of their performance onstage, and their exemplary behaviour off it. Five of the world's best BMX cyclists have been named to represent Australia at the London Olympic Games. Heading to London, the Australian team features world No.1 Sam Willoughby and female No.2 rider Caroline Buchanan (Erindale College Sports star of the Year in 2008). 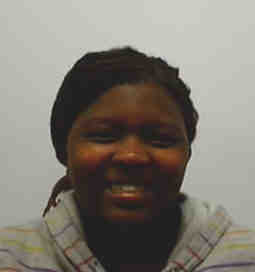 Canberra's Buchanan has been a BMX rider since she was five but was too young to be eligible for the Beijing Olympics. Since then her entire focus has been on London 2012. She had a blistering start to the season, claiming three straight World Cup medal trial wins and crossing first in the race final in Norway. 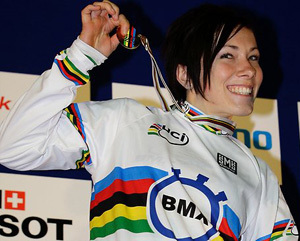 She also won the non Olympic world trial event gold medal at the World Championships. The Business Plan "Face This Way" that Ashleigh Keevers (Year 11) has submitted to the CPA PYOE Competition has been shortlisted for final judging in ACT in September 2011. The five semi- finalists had to attend a formal interview where the viability and the future prospects of the business were discussed. On the 28th of September 2011, at the ACT Award Ceremony, it was announced that Ashleigh has been chosen as the ACT finalist! 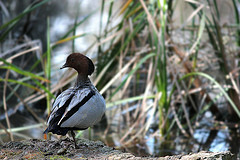 At the National Judging in Melbourne, the Victorian finalist was chosen as the national winner. We are very proud of Ashleigh and how far she has come! 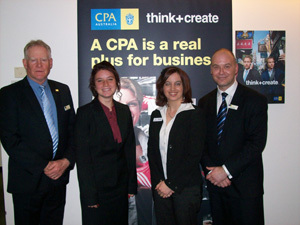 Peter Thomson (Principal of Thomson Accounting), Ashleigh Keevers, Anel van Zyl and Matt Hailes (ACT Division General Manager of CPA) at the Awards Ceremony at the CPA ACT Office. In the past few months Justin has achieved great success in waterpolo. In April he was captain of the ACT U18 Waterpolo team and was the second highest goal scorer for the tournament and he was selected in the Australian U18 (born 94) team. This team is training from now until January 2013 when they will compete in Perth in the WORLD Fina Junior Waterpolo Championships. Justin has just returned from representing Australia on a European tour where he was named best player on two occasions and scored quite a few goals for Australia. In May Justin was selected in the Mens Open ACT team which competed in the Australian Mens Country championships. Justin played extremely well and was rewarded with selection in the Australian Mens Open Country team which is touring Europe in September. This is an amazing achievement considering Justin is only 16. In June Justin was captain of the U18 ACT Schoolboys team. Justin will be representing Erindale College, ACT and Australia at the Australian Schoolboys Tasman Test Series against New Zealand in Sydney in December. In July Justin went on a European tour with the Australian Makos. They competed in an International Tournament and the team came 3rd. In August he played for Australian Junior Makos in an international against Croatia and was named one of the best players. 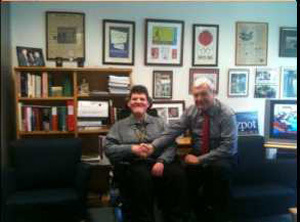 Lee Hillier with Steve Doszpot, MLA's office,when Lee undertook some work experience earlier this year. 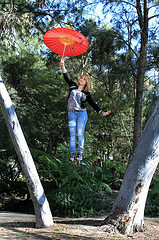 Lee has also been nominated for an award- Young Canberra Citizen of the Year Awards 2011- for a "Personal Acheivement Award". Last night seven students and Meg Lewis (Teacher) ran a function in The Class Act Training Restaurant for the Canberra Maths Association and the feedback we received was outstanding! 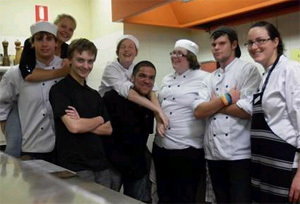 If you know any of the following students please congratulate them for their hard work ¨C they all helped set up, prepare, cook and serve for 5 and a half hours yesterday afternoon and evening and we are extremely proud of them all for their hard work and excellent job in representing Erindale College Hospitality! On the 8th July CIT in Reid hosted the annual Australian Culinary Federation ACT chapters Secondary Schools Culinary Competition. 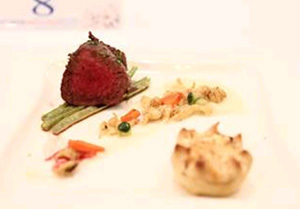 The competition gave ACT secondary school students studying a food or hospitality course the opportunity to cook off against each other. Teams had one hour to prepare and cook their masterpiece comprising of Atlantic Salmon, vegetables, starch and a garnish that was then judged by some of Canberra's top Chefs; Tom McDonnell, Hartmut Kehm, Paul Butler and Keaton McDonnell. 19 teams consisting of two students each participated from a range of public and private secondary schools from around the ACT. Erindale College entered three teams comprising of Andria Bencich & Nathan Ballard, Bec Neill & Paige Gibson and Sam Carpenter & Zoe Blackman. Erindale won the competition for the second consecutive year and is now heading to the Gold Coast for the National competition on August 20 and to Taiwan for the international finals in September. The remaining two Erindale teams also received silver medals for their achievements and are already planning meals to take out the competition next year. Every team that entered created food to an exceptionally high standard and the professionalism shown by our students is a fantastic reflection on Erindale College. 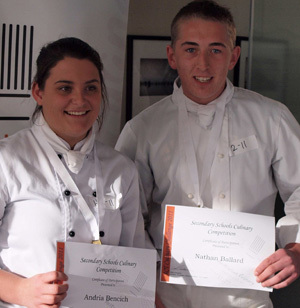 Well done to all our students and best of luck to Andria and Nathan in the next stage! 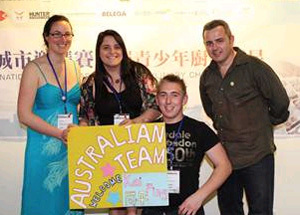 Congratulations to Andria and Nathan who won a Gold Medal in Taiwan!!! Canberra tennis player Ashley Keir has been named the May Junior Sports Star of the month by ACTSport, following her recent run of successes around Australia. Keir won back to back platinum Australian Money Tournaments in Griffith and Gosford, propelling her national ranking in Australia into the top 50 for the first time in her short career. At only 16 years old, Keir is showing maturity well beyond her years, and will be looking to increase her WTA ranking of 685 overseas in the coming weeks. Â¡°We wanted to recognise her achievements as a young athlete in Canberra,Â¡± a spokesperson for ACTSport told Tennis ACT. Awarded monthly, the Sports Star of the Month is considered the highest sporting honor of its kind in Canberra, with previous winners including Raiders players Josh Dugan and Alan Tounge, and swimmer Adam Pine. 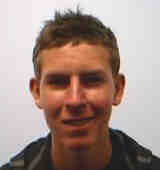 Recently in Adelaide 5 Erindale students have acheived amazing individual success in Football (Soccer). Kelsey Perry, Alex Lawrence and James Field were named in respective Australian Soccer teams. Milan Popovich and Michael Portelli were named in the Australian A team. This is an amazing result. No other school in Australia had this many nominations. Phil Hopkins has been working with all these students as a squad leader (Tracey Marris now works with the Girls). He is also the Manager for the ACT boys Team. As you would expect he is very excited about the selection...as are we!